Woohoo! The eBook I had been working on is finally live! 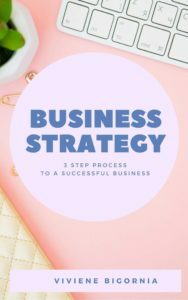 In this eBook, I talked about a very simple process on how you can create massive success in your business. This is going to be a very quick read and it will absolutely turn your business around. I don’t work magic. All I can tell you is how to do it. But you got to take action. Those last two words are my favorite words: TAKE ACTION. You don’t just stop at reading. You have to apply what you have learned. That is one major mistake many people make. I actually talk more about that here. I’m gonna quit chattering now so you can start downloading the eBook. I hope you learn a lot from it and most importantly, I hope your business grows as you do this simple and effective process. Is reading too much bad for you? I’am dreaming of my own business, it would be a great help. I know I will learn a lot on this ebook. Where you able to download it? I hope this helps!